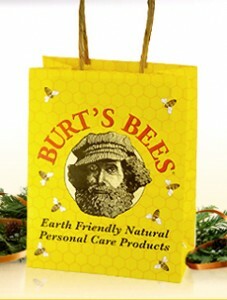 Burt’s Bees has a great deal available on a grab bag today! You can get a grab bag with 5 full-sized products; an assortment of mini-size products; and some special gifts. The grab bag is $20 (originally $50) and shipping is $5. The bag is filled with their most popular natural products and special gifts. The contents will vary between bags. The items may have some some slight packaging or label scratches and all sales are final. This was available a few weeks ago and many of you have raved about the items you received!! This does sell out quickly so if you want it, grab it.